Can anybody tell me where FPO 18 was located? I suspect it could have been either Cologne or Wiesbaden. 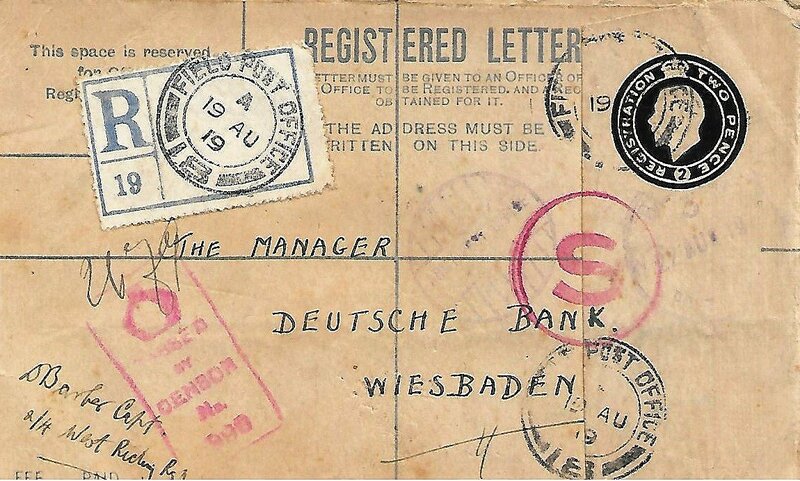 I have a philatelic item addressed to the bank manager of the Deutschebank in Wiesbaden dated 19 August 1919. The GHQ moved from Cologne to Wiesbaden in December of 1919 so this could be an officer (Capt Barber of the 2/4 West Riding Regt) sorting out his finances before he moved down. (Scan attached herewith. E B Proud's History of the British Army Postal Service shows it to have at been at Lechenich from 26.12.18 to 5.8.19 and was closed by Sept the same year. I note that your post mark shows the 19th August 1919, so it is possible there is some leeway in the closing dates. Lechenich is about 36 Km from Cologne.